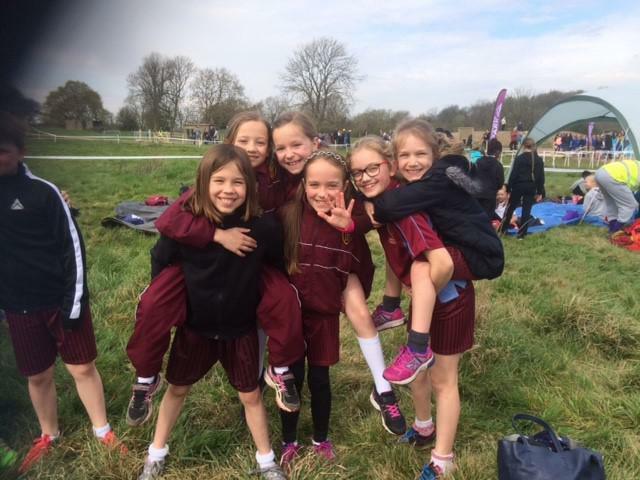 March saw the beginning of our cross-country competitions. The first was held on the 1st March at South Weald Park. 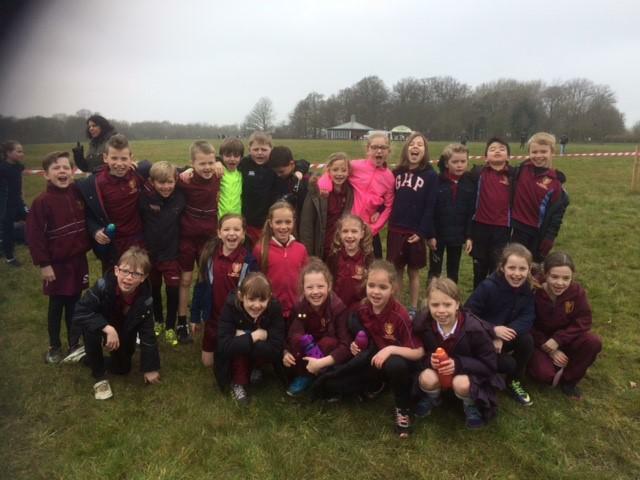 On an extremely wet, muddy and slippery course, we had 28 runners from year 5 and 6 competing. All ran fantastically well. Our next meeting was at Thorndon South on the 15th March. 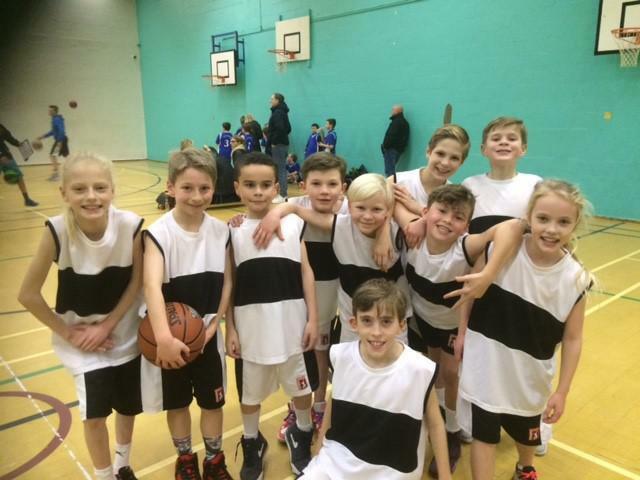 This included pupils from Year 3 and 4 as well as the Year 5 and 6 teams. The weather was kinder this time but it was still a slippery course. 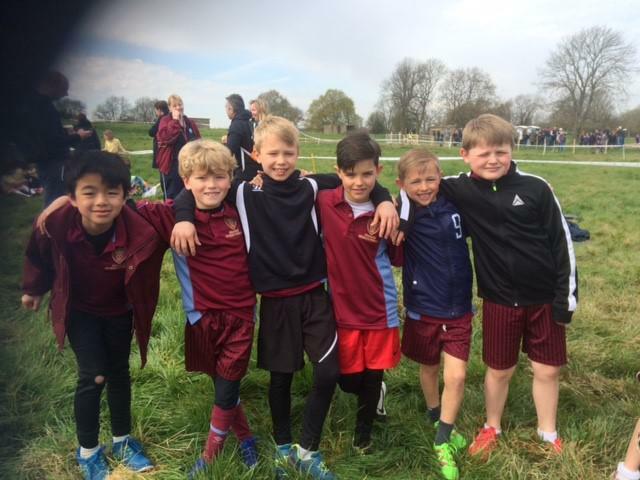 The Year 4 boys and Year 4 girls managed to win their team events and progress through to the next stage of the country trials at Hadleigh Park. Also through in the individual races were Theo G who came 3rd, Sophie W who ran a brilliant race and came 1st, and Joshua J who came 2nd. They will all go through to the individual races. The country trials at Hadleigh Park were held on Thursday 14th April on a beautiful sunny day. The course was very tough featuring gravel, hills, slippery sections and not many overtaking areas. The Year 4 girls again ran a brilliant race and were very unlucky to finish 4th overall, just missing out on the medals. 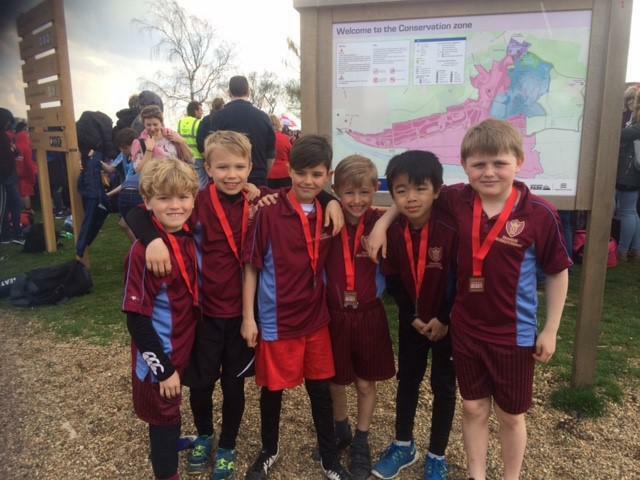 The Year 3 boys however, did manage to get a medal place, coming 3rd overall. Well done to every pupil who took part - they were all a credit to St Mary’s School. We have been playing in 2 leagues since January. 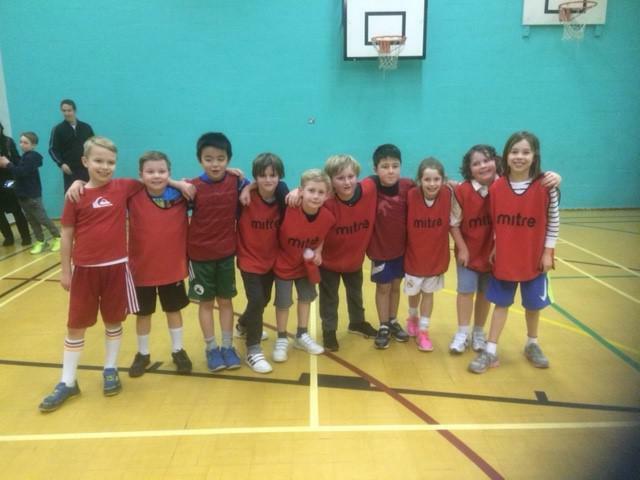 The Year 3 / 4 team who had never played in the league before have had some brilliant matches. They have played their hearts out and won every match to date. The next match is on Monday 18th April. Good luck. We have also had help from Max T and Evan A, coaching the younger pupils and helping them during the match – thank you boys. The Year 5 team have been awesome! They have outshone all their opponents so far, winning every match quite comfortably. Thank you to Mr Ackerman for helping with this team. Next match is on Tuesday 19th April. Good luck! 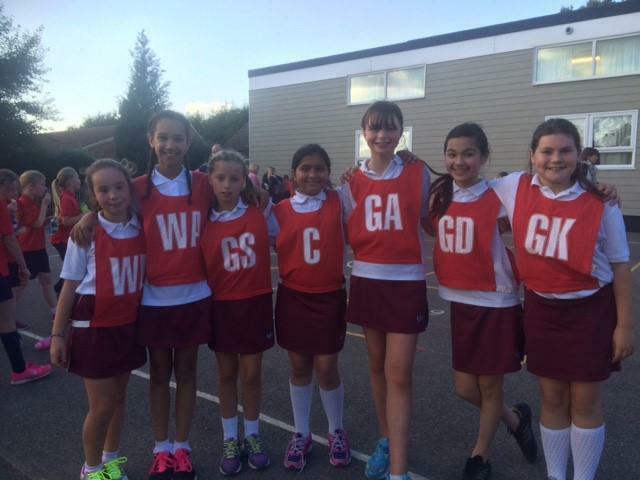 The first netball rally of the term was held at Ursuline School on the 2nd March. Against some very tough opponents, the girls battled well, and made it through to the finals, losing out to a very strong Ursuline team. 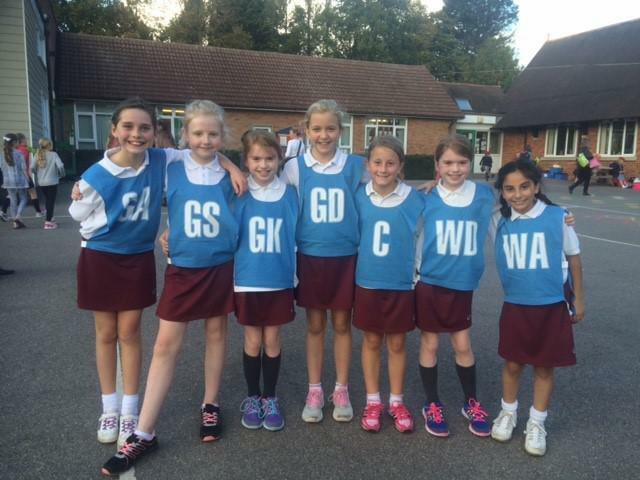 Well done to all the girls who played – Rushil, Abilgail, Louise, Isabelle, Ruby, Darcy, Georgia, Holly, Sophie and Scarlet. On the 12th April we took 2 teams (boys and girls) to take part in a high five netball rally at St Martin’s School. This was a new game to most of the team but they played very well and enjoyed the games. We have had plenty of action on the football field for many of the year groups. We have been lucky enough to be invited to some special training sessions at Shenfield School with Chelsea and Arsenal academies, which included children from Years 1 to 6. We even sent some Foundation pupils to train, some of whom were asked back to attend more sessions – well done to you! We have had some lovely comments from the coaches telling us what wonderful pupils we have at St Mary’s! A very close match against a mixed team of year 5 and 6 from Willowbrook. St Mary’s started very well, scoring 2 goals in the first half. Willowbrook did come back strongly in the 2nd half but St Mary’s just edged it winning the match. 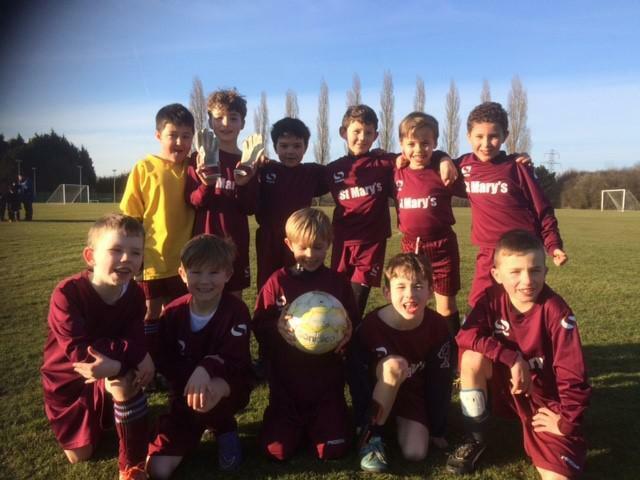 Well done to Ben P, Sam O, Samuel N, Evan A, Max T, Isaac F, Tommy D and Ethan W.
This was the first match for some of our Year 3 boys. They were very excited and it took them a while to settle into the game! We had some good chances in the first half and were unlucky not to score. We did eventually find the net and the match ended up a draw. Well done boys. The boys had made it through to the quarter final of the cup competition. This time we were at home to West Horndon. St Mary’s boys settled very well and commanded the game from the start. 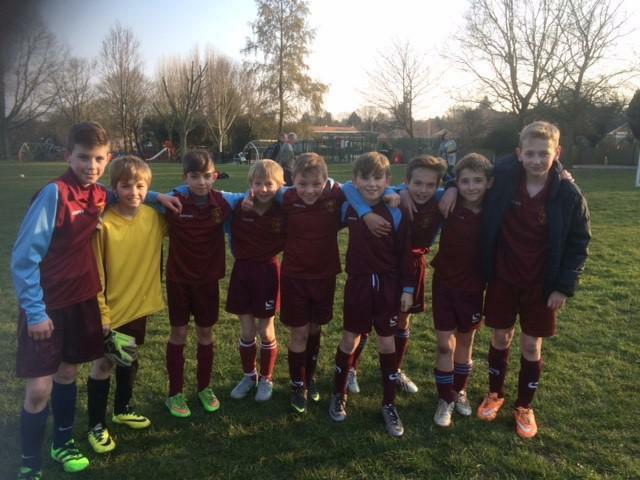 Some great goals from Barney, Ted and James helped us win the match 4-0 and make it though to the semi final. 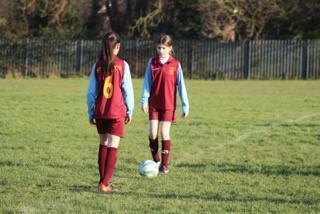 The Year 6 girls have played a few matches this year. Unfortunately we have not been able to have any training sessions. 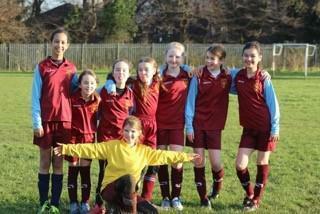 However the girls have played with great spirit and always have fun on the pitch and come off smiling whatever the score. 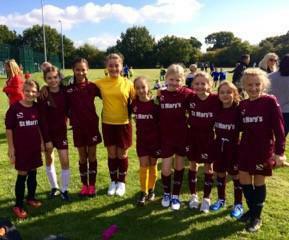 They have played against Ingatestone, Ingrave and Long Ridings, managing a 2-2 against Ingatestone! 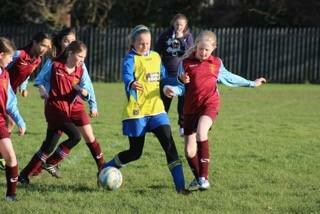 We were rather outplayed by the other schools but the girls enjoyed the matches! Well done to you all – Emily G, Lauren, Abigail, Sophie, Kate, Alice, Darcy, Isabelle, Zoe, Emily S and also 2 year 5 girls Isabella P and Isabella K.
On the 8th March, St Mary’s took part for the first time in the Swimming Gala held at Brentwood School. We took a mixture of Year 4, 5 and 6 girls and boys. The children had a great time and tried their best against some excellent swimmers. Well done particularly to Zoe B who won her race easily. We look forward to the next Gala! 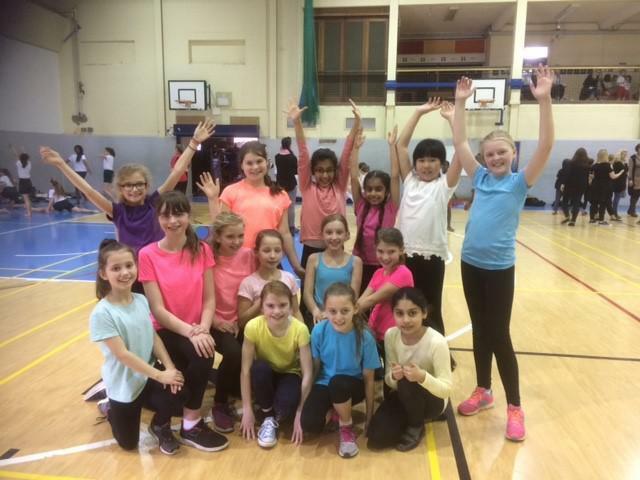 St Mary’s dance club took part in a lovely festival at Shenfield School on the 22nd March. The girls had been practising their routine with Miss Kent at dance club for a few weeks. There were some nerves but the girls put on a brilliant performance in front of a large audience in the school sports hall. They were in time and danced with huge smiles on their faces. Well done to them.